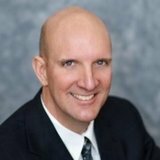 Rick is the founder and president of Aurochs Financial Group (formerly Epple Financial Advisors), a comprehensive fee-only financial planning and fiduciary firm an office in Wayzata, MN and works with clients Nationally. He aims to help clients live the life they choose through the accumulation and conservation of their financial resources. A family man, Rick loves spending time with his wife, kids and friends. He works out regularly, and enjoys traveling, downhill skiing, and walking. "Aurochs Financial Group, LLC (""Advisor"") is a registered investment advisor. All written content on this site is for information purposes only. Opinions expressed herein are solely those of Richard Epple, Principal of the Advisor or his editorial staff. Material presented is believed to be from reliable sources and we make no representations as to its accuracy or completeness. Links to other sites endorsing a stock should not be construed to be a recommendation of that stock by the Advisor. All information and ideas should be discussed in detail with your individual advisor prior to implementation. Fee-only financial planning and investment advisor services are offered through the Advisor. Investment advisor services are only offered to clients of the Advisor. who have signed an investment advisory agreement. The Advisor may utilize third-party websites that include social media websites, blogs and other interactive content. The Advisor considers all interactions with clients, prospective clients and the general public on these sites to be advertisements under the securities regulations. As such, the Advisor may retain a copy of information that Advisor or third-parties may contribute to such sites. This information is subject to review and inspection by the CCO of the Advisor or the Advisor's applicable regulatory jurisdictions.